Defra recently announced that it was ‘moving money up the hill’ – increasing per hectare payments to moorland farmers by about £26, or nearly 90%, from next year. These payments will support farmers who work in some in of England’s most beautiful but toughest regions, notably Yorkshire, Dartmoor and the Lake District. Farmers in these regions don’t only produce delicious Lake District lamb or Yorkshire beef. By grazing on this tough terrain, they help maintain the entire upland environment: everything from tiny insects to flocks of farmland birds. Without them, drystone walls would collapse, habitats would change dramatically and distinctive local foods would die out. As well as being devastating for local communities, many of whom have maintained these traditions over generations, this would have a huge impact on local and national tourism. The new Common Agricultural Policy comes into effect from 1 January 2015. 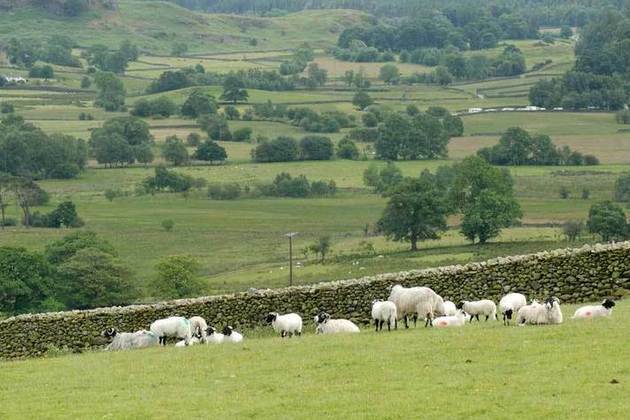 The average payments per hectare for moorland farmers will be about £56, helping them bridge the gap following the end of current environmental stewardship schemes. Lowland farmers will receive around £200 – the reason for this difference is because the EU CAP’s budget and allocations are a legacy of the post-war need to ensure Europe produced enough food. It has undergone significant reforms since then, and Defra has developed a CAP deal that delivers the best possible value for money for farmers across England, as well as taxpayers and the public. The GOV.UK website provides a single point of access to further guidance on CAP.